The Vancouver home of Lululemon founder Chip Wilson has once again been assessed as the most expensive – not only in Vancouver, but in the whole province. According to the latest report from BC Assessment, the property at 3085 Point Grey Road is valued at $78.8 million, an increase from the $75.8 million that it was assessed at last year, when it was also the most expensive in both the city and the province. All but two of the top 10 properties on BC Assessment’s list are in the City of Vancouver, spread out around Kitsilano, Point Grey, and Shaughnessy. 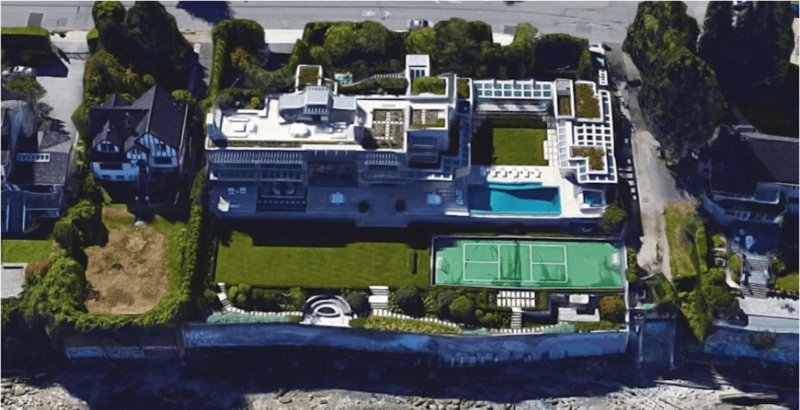 This is the fifth year in a row that Wilson’s property, located at 3085 Point Grey Road, has topped the list of BC’s most expensive homes. That’s a lot of yoga pants.